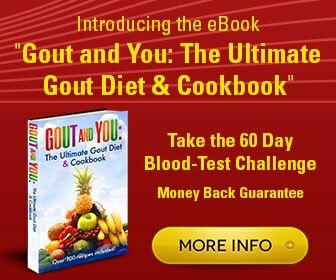 We pay 75% Commissions on the eBook Gout and You: The Ultimate Gout Diet & Cookbook, the highest commission available at Clickbank. We want you to succeed because your success is obviously our success. 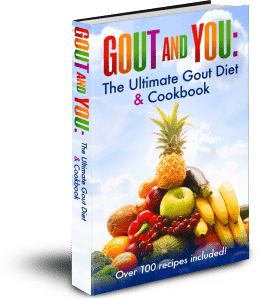 Make a whopping 75% of every sale paid out to you when you promote the Gout and You: The Ultimate Gout Diet & Cookbook eBook. Gout affects about 2,5% of the general population and there are millions of people who suffer from gout. Gout is the most painful form of arthritis, when somebody gets a gout attack for the first time in their lives, believe me they are searching on the internet and search engines for more information on their newly diagnosed condition. This is an opportunity for you to generate some good income while knowing you are helping people change their diet and lifestyle for a better quality life. Be proud of your success! I am presently looking for honest, trustworthy people to help spread the word and promote this beneficial program, while earning money for both of us at the same time. You will make a whopping 75% commission on all sales that originate from your specific link; tracking is done automatically by Clickbank so everything is fully transparent. You don’t need to worry about product delivery, customer service, or anything whatsoever…just promote your link and any sales you refer, you will receive checks in the mail every 2 weeks from Clickbank. This is a great way to add another income stream or even do this full-time, by promoting information products all over the internet and earning a comfortable income. 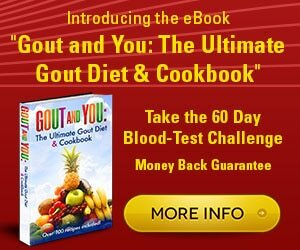 You can use your Clickbank affiliate link however you’d like to promote goutandyou.com and the eBook Gout and You: The Ultimate Gout Diet & Cookbo0k. However, you cannot spam! I don’t want to be associated in any way with dishonest or immoral people. Period! You can use an opt-in mailing list (which is the best method to get conversions), a website, a social media following (such as a fan-page), a free blog or forum, article marketing, a pay-per-click campaign/PPC, or even just emails to your friends/colleagues to promote your link and make commissions. It’s really not that hard. Feel free to email my support staff at info [at] goutandyou.com to further discuss promotional ideas. 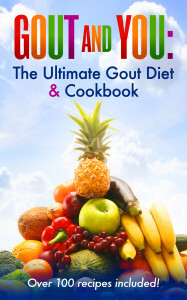 CLICK HERE to configure your Clickbank hoplink for Gout and You: The Ultimate Gout Diet & Cookbook eBook to get started promoting and making money right away. If you don’t currently have a Clickbank account, it’s easy to get started. Just click on the link above to configure your link, but then go to where it says “Click here to sign up first”. Here is an email promo that you may use with your affiliate link. This email promo has made $1,000-$12,000 or more in commissions per mail-out for some affiliates. I’d recommend using this email for your lists. This email literally produced the biggest flood of sales of any email newsletter I’ve ever sent to my email list. It converted a LOT of subscribers that had been dormant on my list for as much as 4-5 months. Just Copy and Paste the email below. Press Send and get ready to convert! Below is an article contributed by Spiro Koulouris, the founder of GoutandYou.com (use your affiliate link). I thought this was an important topic to share with you because the reality is that most people simply don’t realize how dangerous gout really is to their health. Did you know that about 8 million Americans live with gout or about 2,5% of the general population around the world? If you don’t take any action to change your diet and lifestyle you will probably die before your time! According to a recent study conducted by the University of Oxford and published in Rheumatology Journal stated that if you suffer from gout, you have a 50% increased risk of getting a heart attack or stroke. The study noted that even if you are not obese, drink alcohol or have diabetes the risk is still there since you suffer from gout. Gout is considered the 3rd largest risk factor of heart attack after smoking and family history! What gout does, it contributes to unhealthy cholesterol and lipid levels and although they are essential for the normal functioning of cells, when certain amount of lipids are enlarged or deposited in blood vessel walls and this clogging leads to a heart attack or stroke. Gout sufferers have a 42% increased risk of dying earlier than the average population. Furthermore, it seems that gout sufferers have more heart conditions and many more risk factors than those without the disease. In addition, those gout sufferers with the highest uric acid levels had a 77% higher risk from death from all causes and a whopping 209% increased risk of cardiovascular death than those gout sufferers with the lowest uric acid levels. New studies indicate that you have a 20% increased chance of developing diabetes and 40% increases risk of developing kidney disease if you have high levels of uric acid in your blood. A study conducted by Dr. Eswar Krishnan who is an assistant professor of rheumatology at Stanford University researched over a span of 3 years about 2000 men who had gout from a Veterans Administration database and note that none of these men had been diagnosed with neither diabetes nor kidney disease at the beginning of this study. What they found was that 9% of men with gout who had high levels of uric acid developed diabetes compared to 6% of men whose uric acid levels were in the normal range. For those veterans who had high uric acid levels had a 19% increased risk of developing diabetes. According to one study conducted by Mara A. McAdams DeMarco, PhD, of Johns Hopkins University in Baltimore and appeared in the January 2012 issue of Arthritis & Rheumatism, your chances of developing gout or a gout attack increased by 1.48 fold if you suffered from high blood pressure (hypertension) and took diuretics or so called “water pills”. Finally, you definitely don’t ever want to suffer from tophi, overall, 25% of gout suffers actually have tophi to some extent. Tophi should not be ignored when it first appears, although painless at the beginning, if left untreated the condition will worsen as they cluster together and more uric acid crystals form around the lump. What happens is our white blood cells attack the invading uric acid crystals so what tophi really is then is a collection of crystals and dead cells. This is not usually painful until they break out from the skin and appear as white or yellowish chalky lumps. It can cause havoc to one’s health by destroying the joints, cartilage and harming the organs (complications such as kidney stones) leading to noticeable disabilities. Trust me you don’t want to be crippled. What I discuss in greater detail in my eBook is an optimized gout diet that I call “The 80-10-10 Diet” which consists of 80% of your daily calories to be clean carbohydrates, 10% consisting of fat and the remaining 10% of your calories should be protein. The problem is the Western diet consists of malnutrition; eating too much fat and sugar, neither of which has any nutrients in them, however, they do have many empty calories and they don’t help your immune system by preventing diseases like gout. I want to help you succeed in finally reducing your uric acid levels which will not only stop your gout attacks, but also avoid developing other diseases like diabetes, high blood pressure and heart disease to name a few. Don’t waste another day living with gout the way you do presently, as well as contribute to your risk for MAJOR diseases and even DEATH! Eat right, and enjoy life! 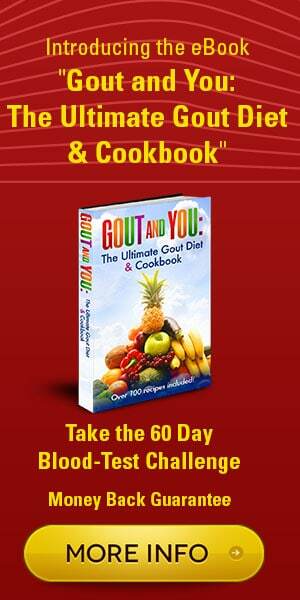 Below are variations of banners for you to choose from to supplement your promotions of GoutandYou.com and the eBook Gout and You: The Ultimate Gout Diet & Cookbook. Feel free to choose any of the banners below that you wish to use. Right click and “save picture as” or “save image as” to save to your documents. One of the best ways you can use these banners is to add them to various pages or a location that shows up on all pages of your website. If your website produces a decent amount of traffic, you can generate some nice extra revenue through adding a few banners. Give it a try and see!